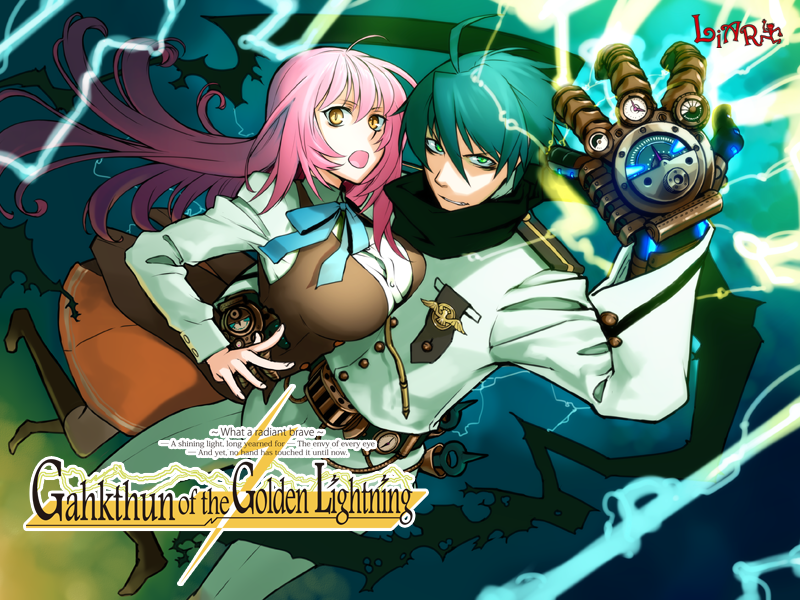 Gahkthun of the Golden Lightning is an adult visual novel set in an island academy-city off the coast of 1908 France. It stars Nikola Tesla as a super-powered 72-year-old (?) student detective, along with his long-suffering assistant, Neon Scalar. Together, they investigate a number of strange and supernatural incidents around the “Academia,” building towards the resolution of a central mystery involving the island’s “Governing Council” and a certain malevolent bell. If you’re not familiar with the “Steampunk Series,” to which Gahkthun belongs, that summary might have seemed a little out there. 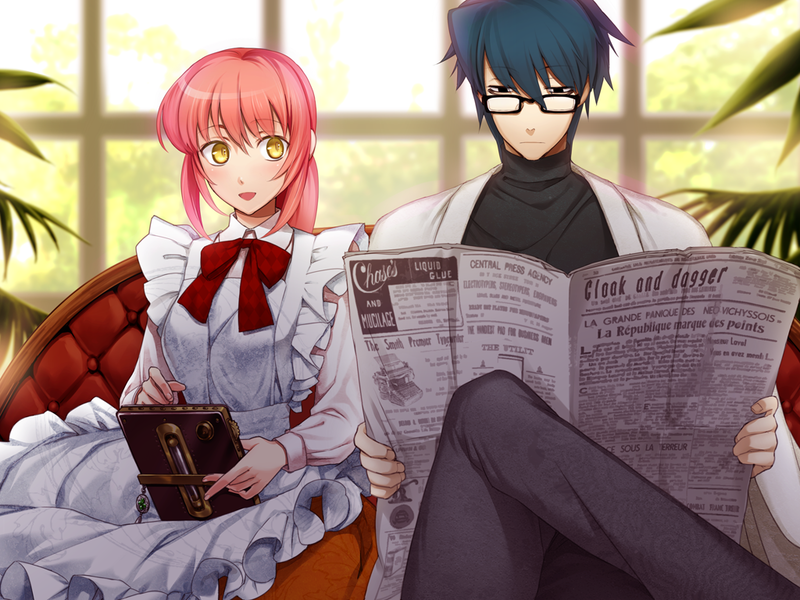 With this post, we’re hoping to provide some context for this unique visual novel, and to help you understand what you can expect from it. 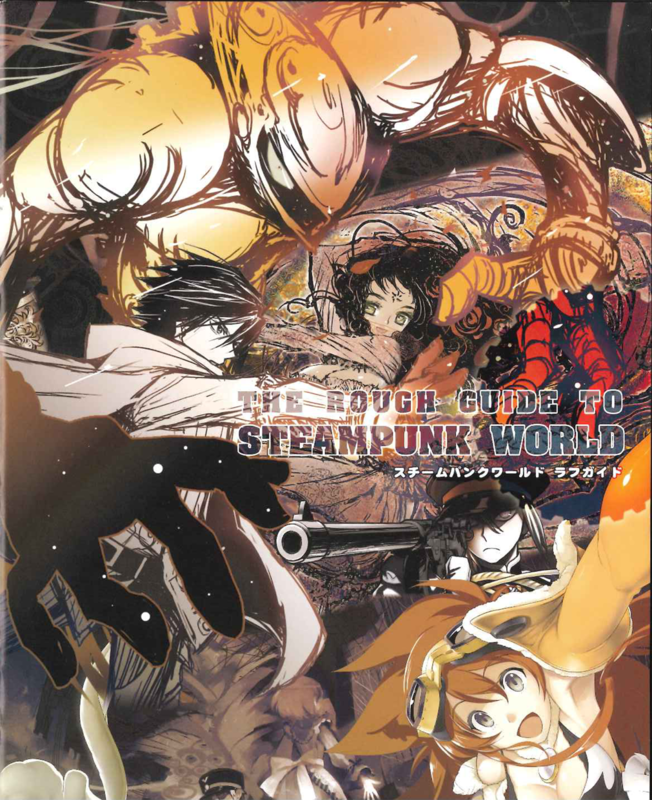 The Steampunk Series refers to a number of works, currently including both eroge and novels , set in a complex alternate-history / Lovecraft-inspired universe created by the author Hikaru Sakurai. The games take place early in the 20th century, following a hundred years where history has diverged greatly from our own. In the 19th century, a gate was discovered connecting Earth to “Kadath,” a land loosely based off Lovecraft’s Dreamworld. Advanced technology from this new frontier helped civilization to advance with unnatural speed; but in exchange for mechanical computers and clockwork mecha, the Earth is now horribly polluted, and its skies are covered in permanent grey smog. In Sakurai’s universe, familiar figures from history and famous works of fiction are frequently repurposed into new roles – not simply appropriated, but adapted seamlessly into a world of secret societies, Difference engines, and lurking Elder Gods. While the world-building is definitely intricate, this series has won a cult following both in Japan and in the west for other reasons. First and foremost, there’s the quality of its writing. 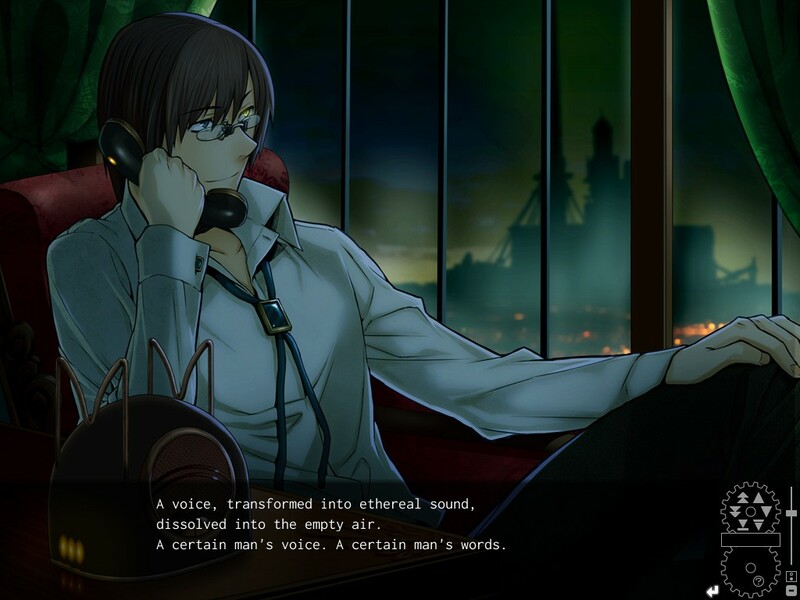 Hikaru Sakurai is a talented author with an ongoing series of Fate/Prototype novels and a number of anime credits, and writes these games in a distinctively poetic style that you won’t find anywhere else. Sakurai’s style of episodic plotting and heavily symbolic dialogue has fostered comparisons to works such as Shoujo Kakumei Utena. Secondly, there’s the range of perspectives. 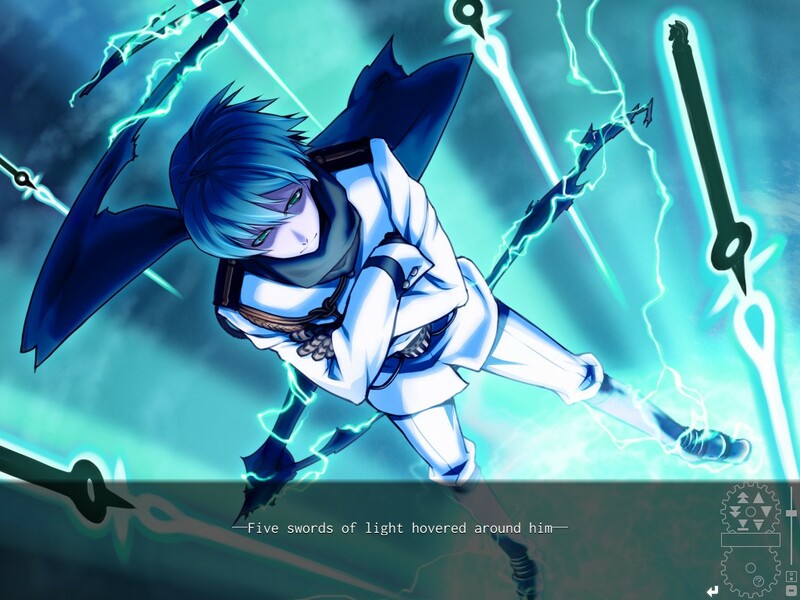 Unlike many eroge, Gahkthun essentially features both a male and a female protagonist in Tesla and Neon: both are central to the plot, both are fully voiced, and both receive a great deal of narration time and character development. While this would probably be classified as a game targeted at men, the gender breakdown of Steampunk fans in Japan is unusually diverse. Everyone who appreciates Sakurai’s writing can enjoy the series. One last thing – if you’re worried about jumping into the Steampunk Series with the most recent title, don’t be. While the games are set in the same universe, they all have distinct settings, new casts of characters, and stories that stand entirely on their own. Gahkthun‘s great production values and accessible storyline make it an excellent place to start. We’re looking forward to sharing more information with you about the game as release approaches. Please check out our promotional website for Gahkthun; if you’re already sold, you can preorder here. Tagged Gahkthun, liarsoft, steampunk series. « Gahkthun of Golden Lightning Now Available for Pre-order!